I love special events that are centered around science because the hype is contagious. It doesn’t take much to get me excited (case in point, I found cat mermaid fabric the other day and it made my week) but my kids don’t quite share my enthusiasm for the mundane. So when big events, like this solar eclipse, come along, I try to milk them for all they’re worth. 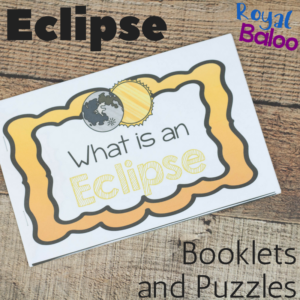 So I had to put together a quick Eclipse booklet. They can work on reading and science and then see it for themselves! 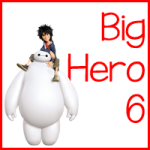 Do you want more freebies and great printables coming to your inbox every week? Then this is the newsletter for you. There aren’t any special setup to easy reader books like this. Just print, put them in order, staple, and go. I did provide a teachers version. If you are printing more than 2 copies, use that one. Then you can print, staple, cut and go. You won’t have to put 30 books in order! The easy readers are meant to be short and just a little bit of info at one time. Considering adding in some extra manipulatives like a Space Toob or the Planets Toob. 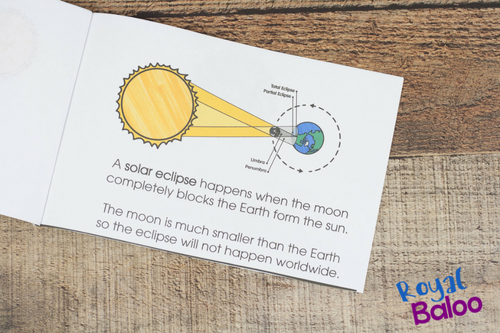 The easy reader provides some very basic info about eclipses. It’s not geared towards the 2017 eclipse in particular. It’s meant to be a last minute informative text explaining what on Earth is going on. There are also extras that match the booklet. SuDoKu, 3 Part Cards, and labeling the eclipse. Read through the text together and perhaps act out what happens during an eclipse. There are some fun eclipse crafts that could work or simply get out a couple of balls and a flashlight to illustrate the effect of the eclipse. It says blocks the earth “form ” the sun. Please check for this spelling error.